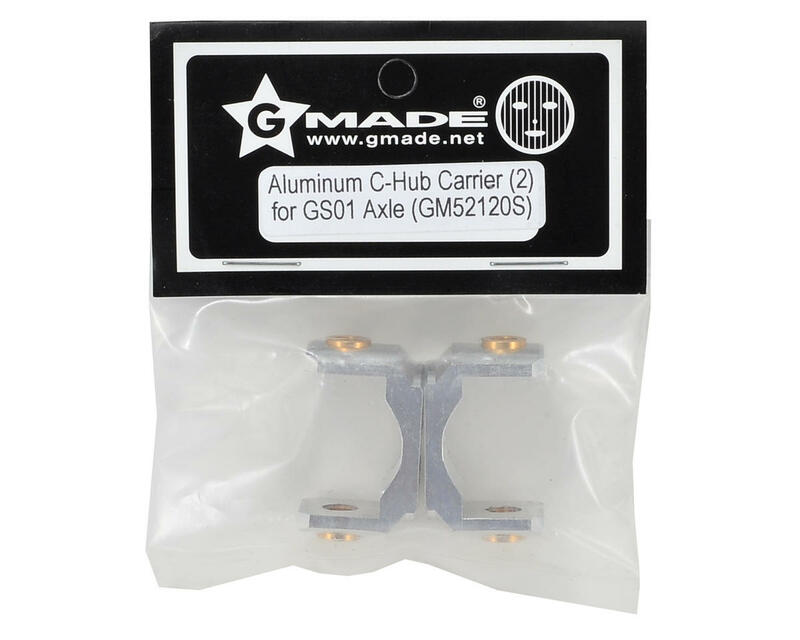 Gmade Aluminum C-Hub Carrier. These aluminum c-hubs are precision machined billet aluminum and are compatible with the GS01 axles found on the Komodo and Sawback trucks. Compared to the stock c-hubs, these hubs allow the standard 90° setting, as well as an increased 98° setting that maintains the correct caster geometry and positions the center driveshaft at a more efficient angle. 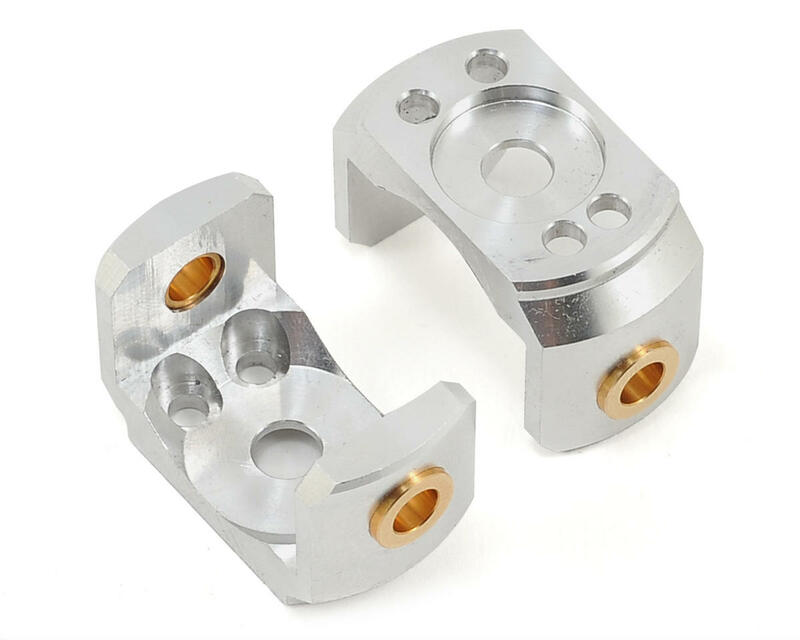 Caster angle is determined by how the hubs are installed. When the wide spaced holes are up, the caster is set to 90°. If the wide spaced holes are down, the caster is set to 98°.